Will Chimney Swifts return even if their towers are covered in snow?! April is when Chimney Swifts make their return to Pittsburgh from the South. It's when temperatures are warming and delectable insects start swarming for the acrobatic birds to eat. So how will they greet Allegheny County with a fresh covering of snow? Not quite the welcome mat they're used to seeing. Never fear! The Swifts will not be deterred by a dusting of early spring snow. Luckily for the Chimney Swifts, they can choose from 100 habitat towers distributed throughout the Allegheny County Parks for nesting. 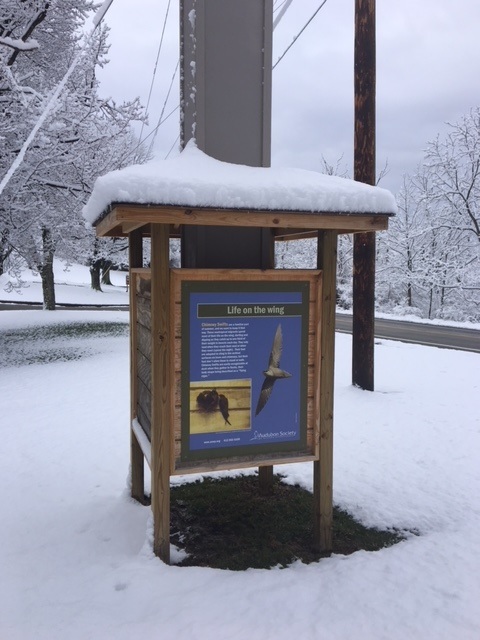 The towers were installed through a partnership with the Allegheny County Parks Foundation and the Audubon Society of Western Pennsylvania. The project was initiated to encourage these beneficial birds to return to our region after their population was reduced when nesting sites were reduced as the region's tree canopy was lowered due to development. Funders included the Peaceable Kingdom Fund of The Pittsburgh Foundation, Audubon Society and Allegheny County Parks. For more information on the Allegheny County Parks Foundation's Chimney Swift Habitat Towers project, click HERE! Click HERE if you'd like to be a citizen scientist and monitor local swift activity. 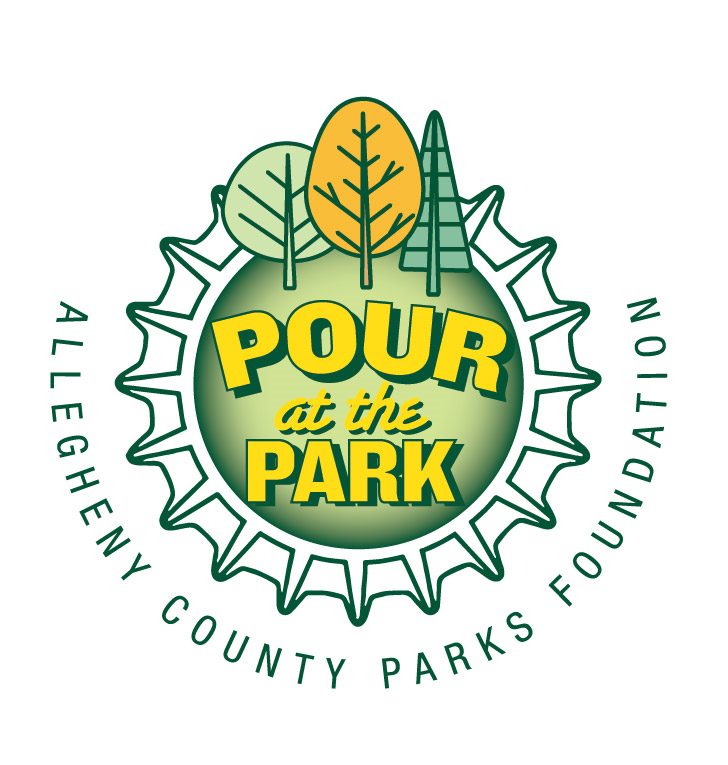 MAY 11 - 5:30 TO 8:30 P.M.
Join us for the first POUR AT THE PARK - SOUTH HILLS! Several ticket options, but the first 500 guests to buy $55 tickets get our exclusive STAINLESS STEEL TASTING CUP!! Cool craft brews from around the region and scrumptious bites from local restaurants. One price covers it all! Oh, and did we mention LIVE music! Singer-songwriter SHAY and catch local favorite MOLLY ALPHABET just days before the release of their EP!! Click on the TICKET link above to visit our event site, and check us out on Facebook and Twitter ! Anne Oyler has pulled together lots of interesting information on architect Paul Riis and welcomes all who are curious to learn more about him and his work to visit the site: Paul Riis Legacy Preservation Volunteers. A nyone with historical information on Riis or who have memories about visiting these sites is encouraged to contact her. She would love to add it. "We want this to be a one-stop-shop for everything Riis!" she said. Volunteers not pictured: Lynn Rethi, Marc Bowman and Chellie Romano. More Trees for South Park! 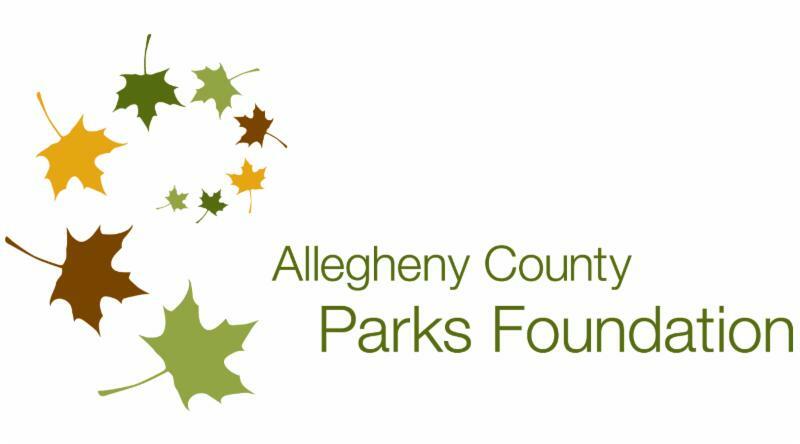 The Allegheny County Parks Foundation has partnered with several organizations to plant more than 80 trees in South Park this month. 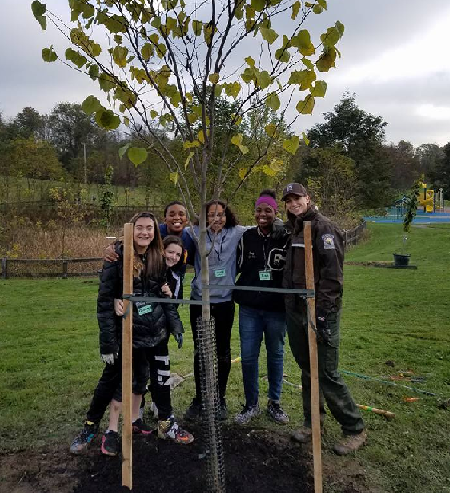 Earlier this month, trees were planted by Parks Foundation staff, Western Pennsylvania Conservancy, Allegheny County Rangers, Allegheny County Parks, Friends of South Park and Elizabeth-Forward Middle School students. The recommendation to plant more trees was made in the South Park Ecological Assessment , funded by PNC Foundation and the Heinz Endowments. Funding for the trees was made by possible by the Peaceable Kingdom Fund of The Pittsburgh Foundation. Look for these saplings along Sesqui Drive and Brownsville Road. Varieties include Redbud, Serviceberry, American Beech, River Birch, American Linden, Blackgum, Sugar Maple, White Oak and Tuliptree. Elise Cupps, Education & Outreach Coordinator with the Allegheny County Rangers, planted trees with students from Gateway Middle School last year. Looking for new ways to improve your fitness? Join the Fit With A Physician low-impact hike on April 24 in South Park. Open to everyone but FREE registration to anyone 50 years or older. 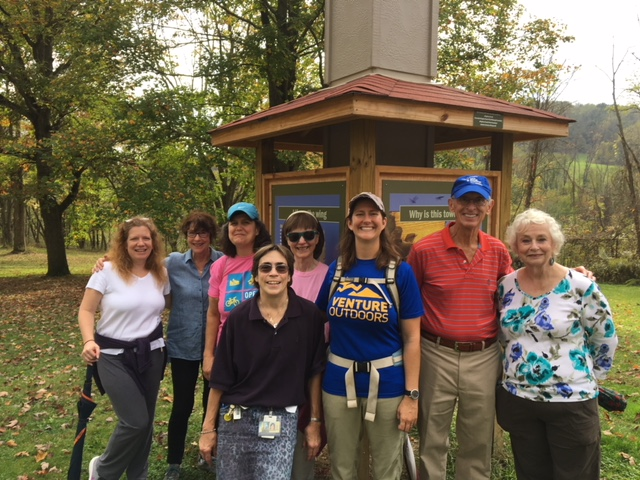 Local medical professionals are on hand, along with a Venture Outdoors Again guide, for an easy-paced walk that gets the body moving and mind stimulated. You'll learn about the medical professional's field of study and will get individual questions answered during the walk. At each stop along the trail, the expert will share tips for staying healthy. These periodic hikes last up to 2 hours and take place on paved trails. The program partners Venture Outdoors, the Jewish Healthcare Foundation and the Allegheny County Parks Foundation, which is producing a mobile friendly and printable mapping app that will enable older adults and their providers to identify trails, activities, facilities and events that encourage healthy exercise at all nine Allegheny County Parks. To get more details about where and when to meet and to sign up for the April 24 walk in South Park, click HERE ! To learn more about the program and future activities, click HERE ! 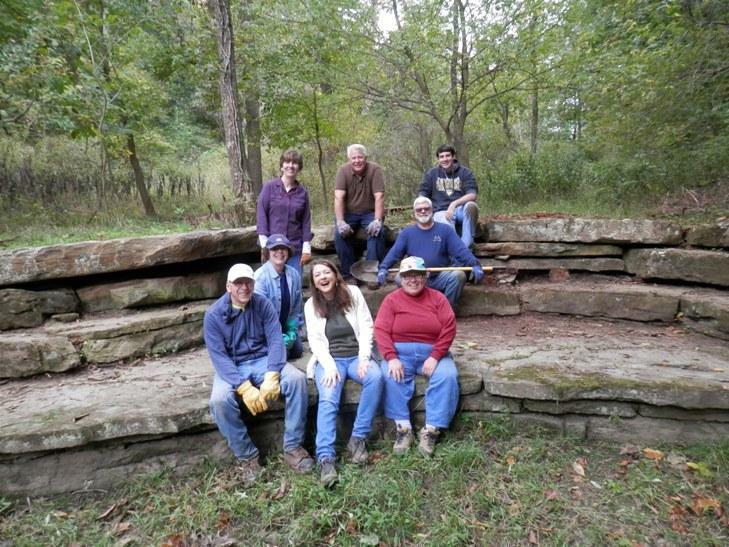 A group of walkers enjoyed a hike in South Park last year. Volunteers interested in helping remove trash and debris in South Park during Comcast Cares Day can register at www.comcastinthecommunity.com and type Allegheny County in the search bar. You can also register on site the morning of the event. More than 100 local ComcastNBCUniversal employees and their families, friends and community partners are expected to join the Allegheny County Rangers and the Allegheny County Parks Foundation for the 17th Annual Comcast Care Day. The Comcast Foundation generously provides grants to local community partner organizations across the country on behalf of everyone who volunteers on Comcast Cares Day. The grants will help Comcast’s community partners continue their mission of serving the community throughout the year. Volunteers will meet for breakfast at Tamarac Grove which is located off Twin Hills Road. Take Corrigan Drive and turn on Hundred Acres Drive, driving between the Ice Rink and the Corrigan Drive Pool structure. Bear right onto Twin Hills Road. The closest GPS coordinate for Tamarac Grove is: 100 Twin Hills Rd, Bethel Park, PA 15102. Volunteers will be provided a T-Shirt, gloves and necessary supplies and will be provided with breakfast and lunch. The event takes place rain or shine so bring rain gear if necessary. Thank you for helping to keep our park beautiful, ComcastNBCUniversal!